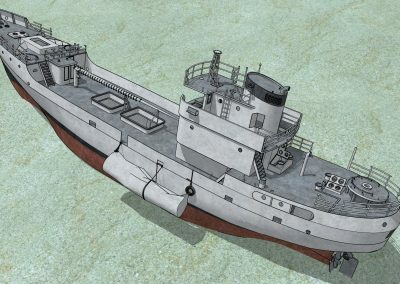 The Kledkaeo Wreck in full length (48m). 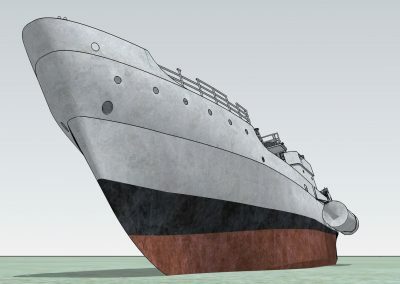 She lies at around 26m depth. 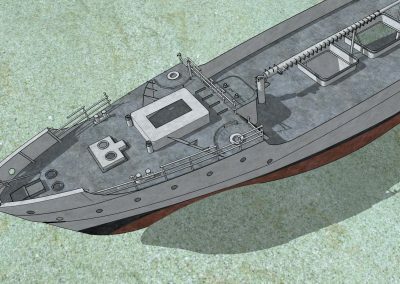 The two large openings in the center of the hull used to be refrigerated compartments originally used for the Norwegian fishing industry. 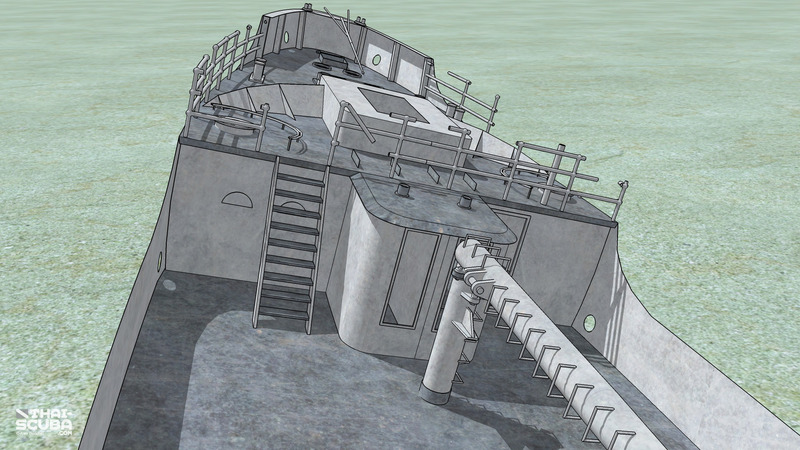 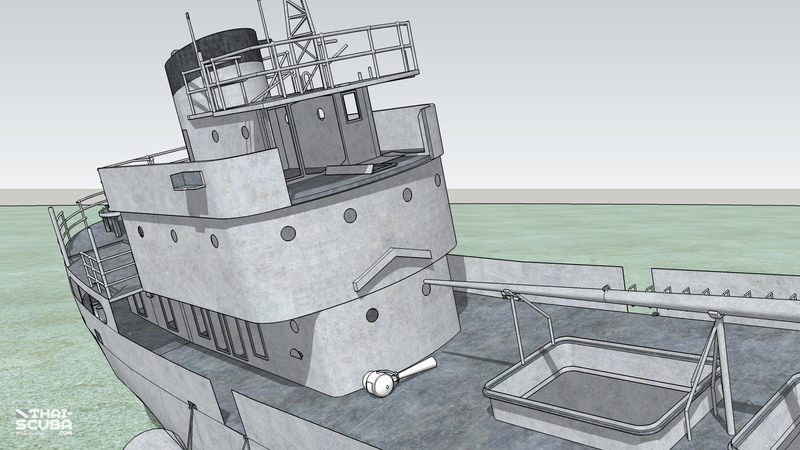 The area near the stern. 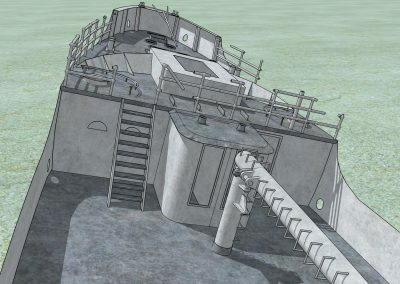 The super structure includes three decks. 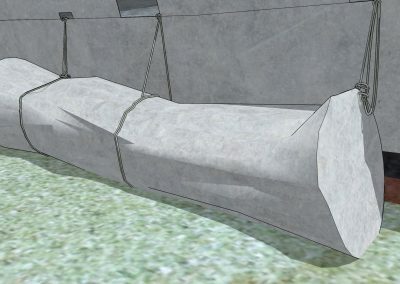 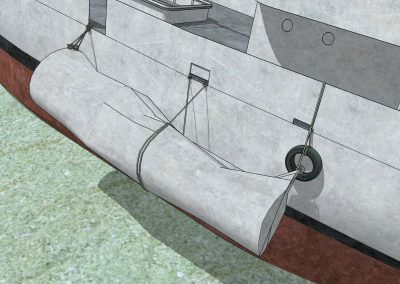 The tilted mast above the two large cargo holes. 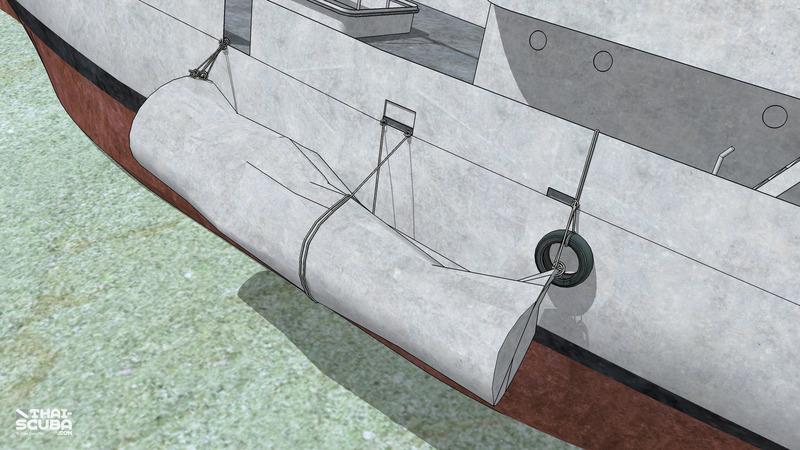 The mast was fixed in this position before the sinking and originally stood up straight. 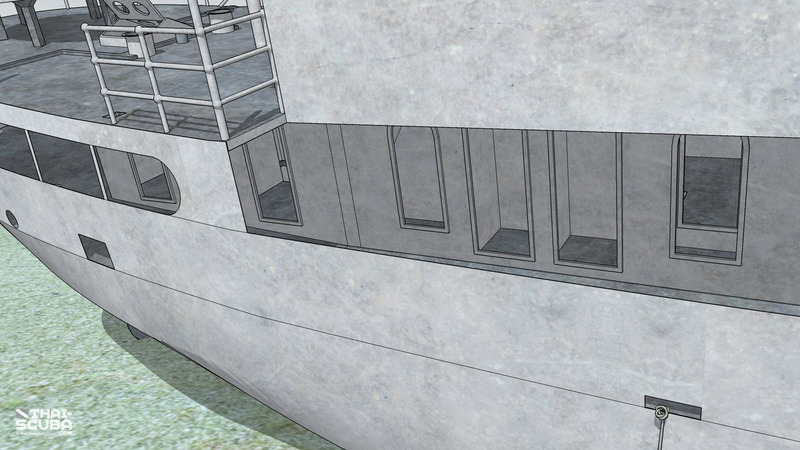 Three doorways lead into the forecastle from the main deck. 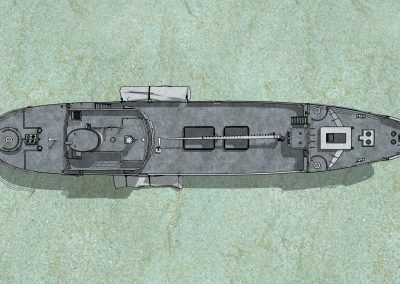 The vessel is built very streamline with a steep forward slope and a high bow to brave the rough conditions of the Scandinavian waters. 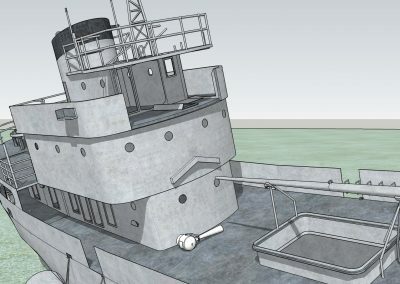 The port side float tank which was used to stabilize the Kledkaeo on the day of her sinking so she would not tip over. 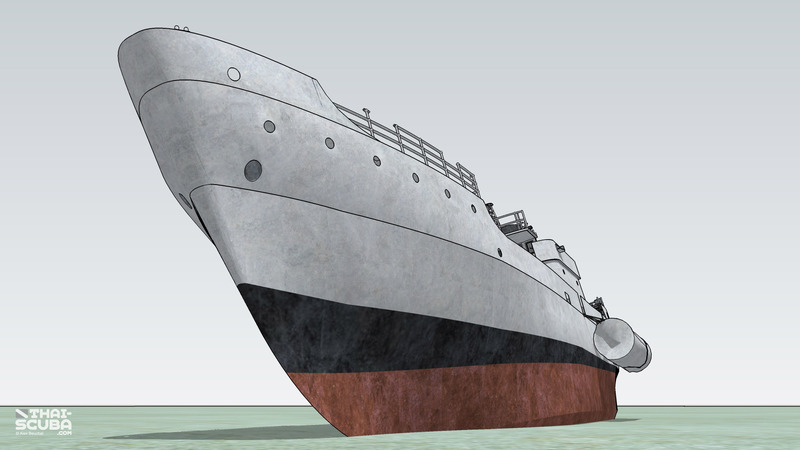 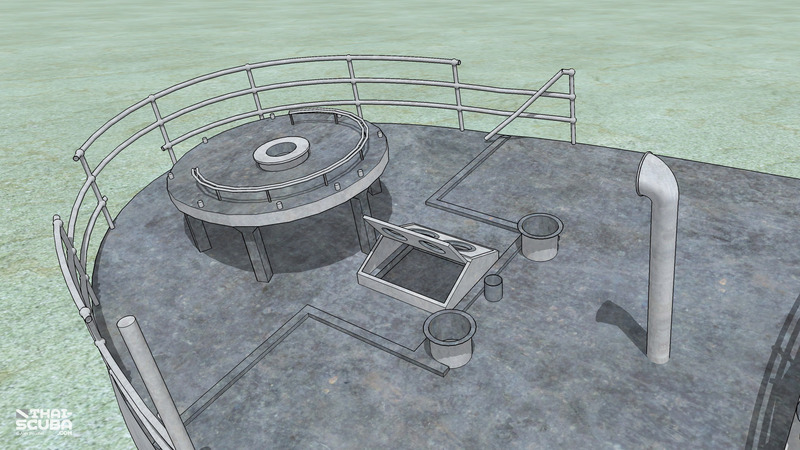 Given the ships tilted angle towards the starboard side, the float tank over here is sitting on the ocean’s floor. 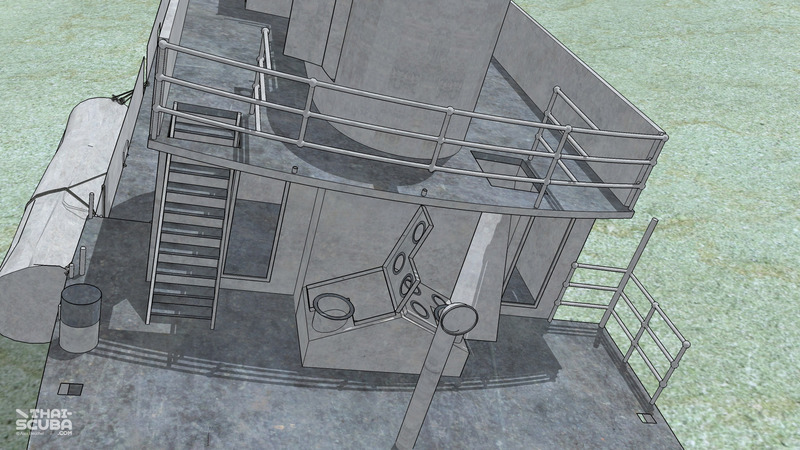 … and can now be found below on the main deck. 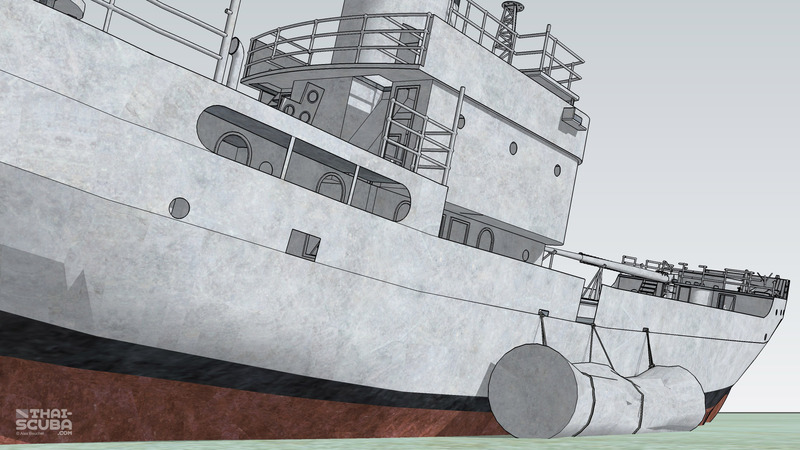 The wreck lies with a 15 degree list to the starboard side. 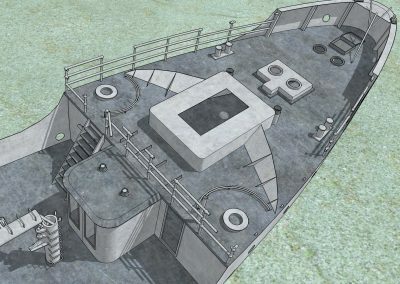 The rear end of the bridge deck. 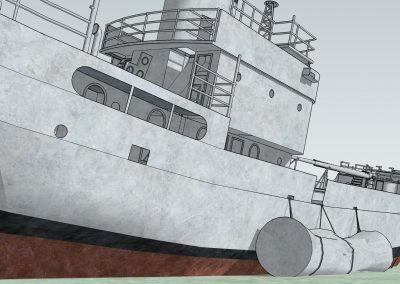 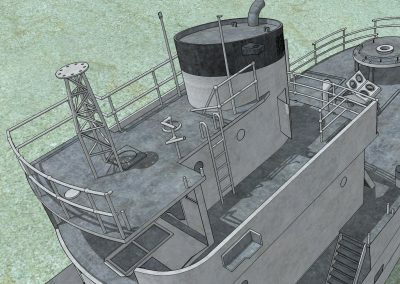 The staircase on the left is still attached, the one on the right disappeared shortly after the sinking. 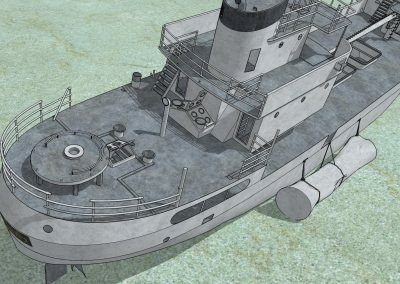 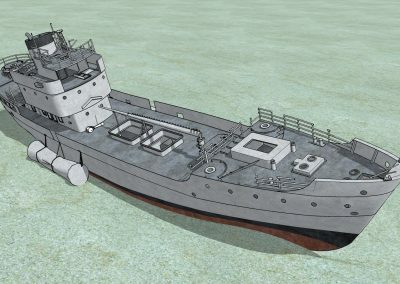 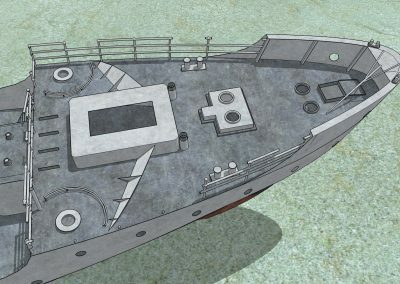 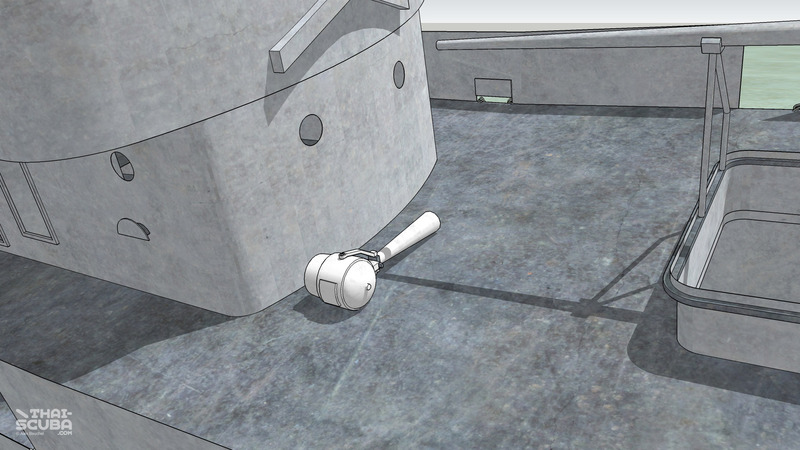 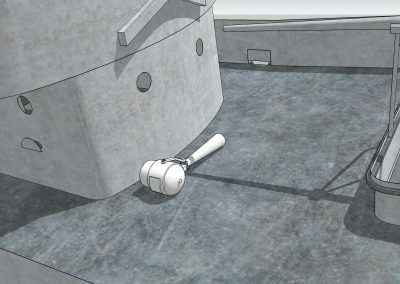 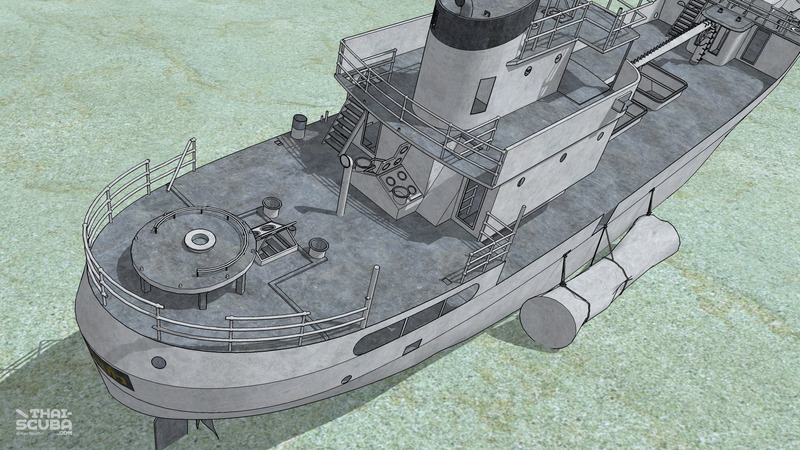 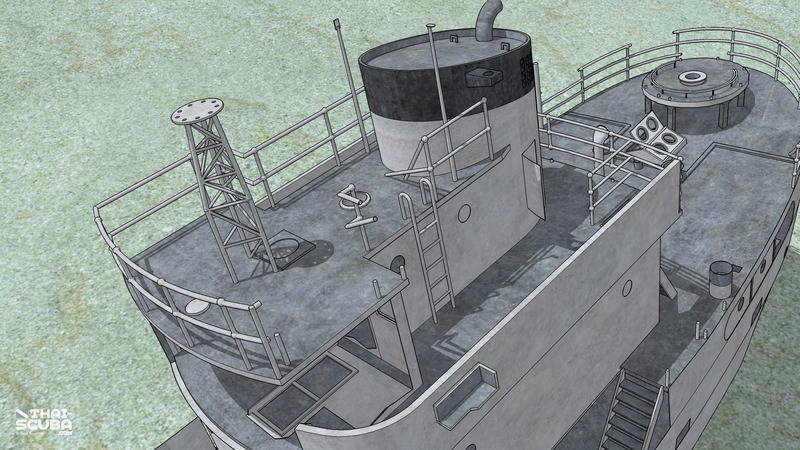 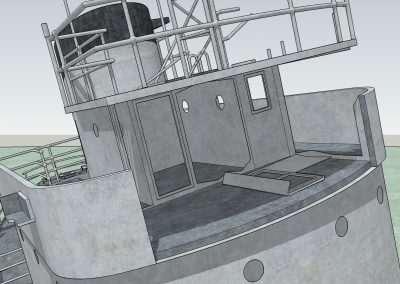 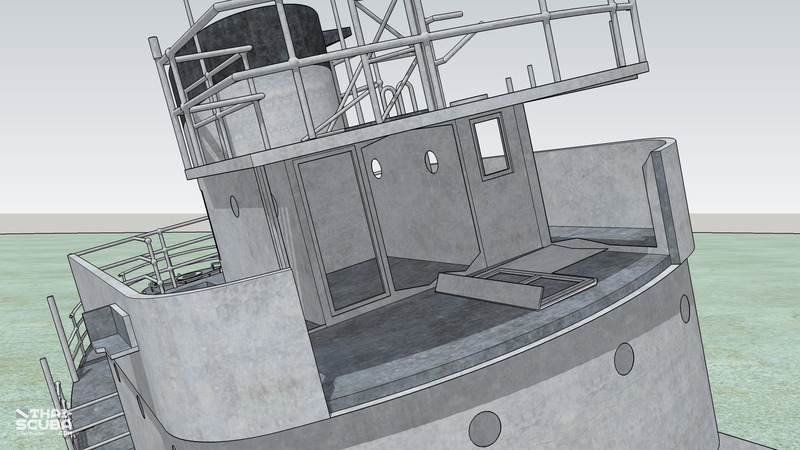 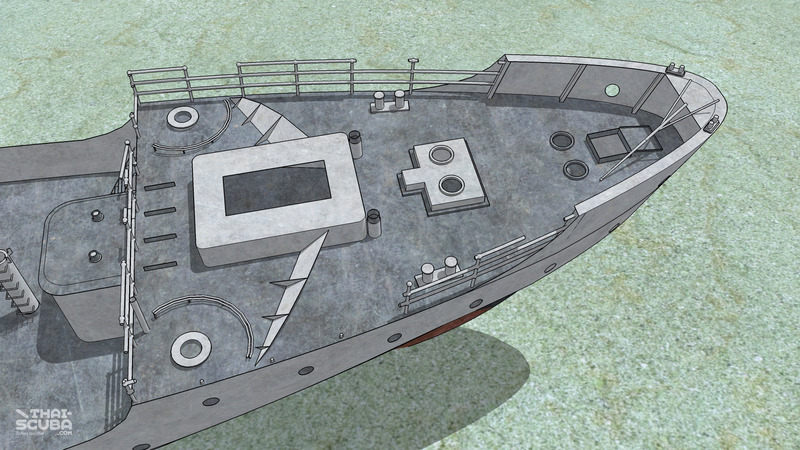 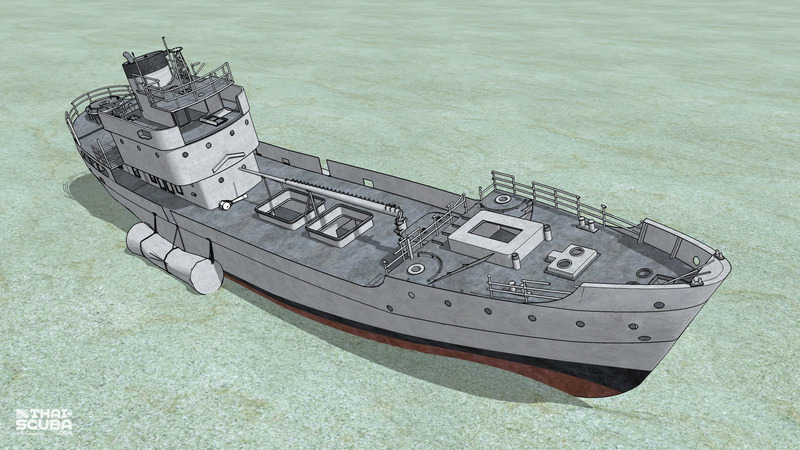 A 20mm gun turret crowns the stern. 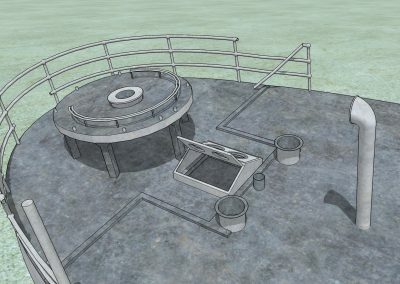 Not much for a defense, but better than nothing. 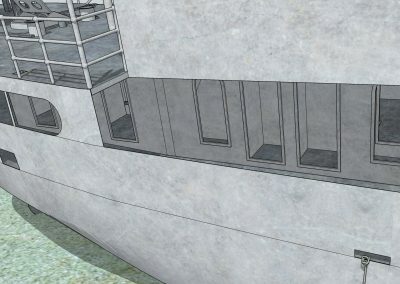 There are several doorways to the upper deck’s interiors on the starboard side. 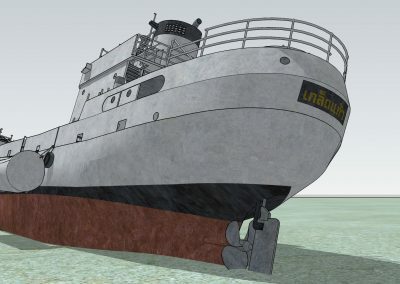 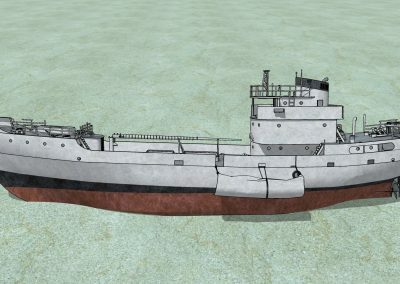 The Kledkaeo was built for rough waters. 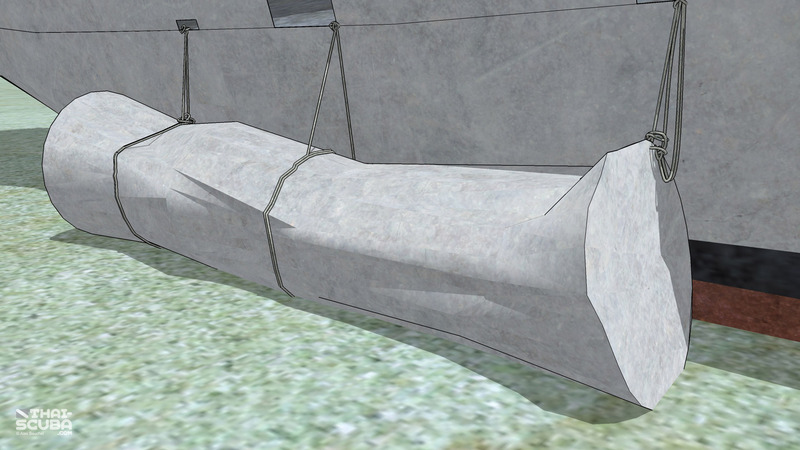 The wing-like structures would divert water that came crashing in from the front over to the sides. 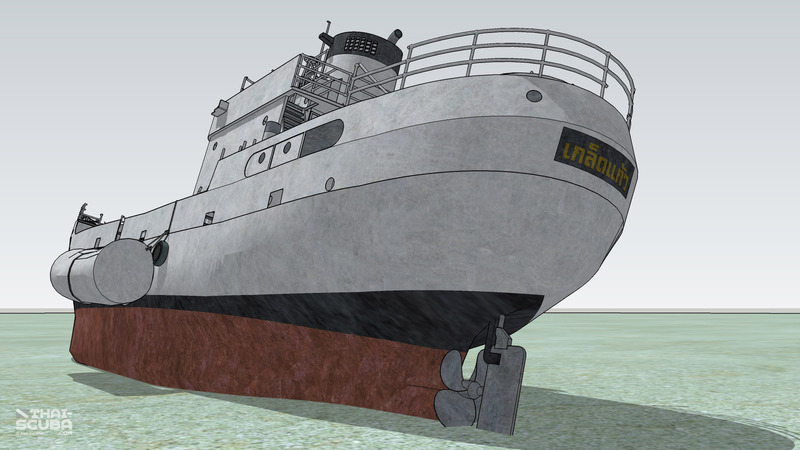 The ship’s name in Thai was placed at the center of the stern in these colors. 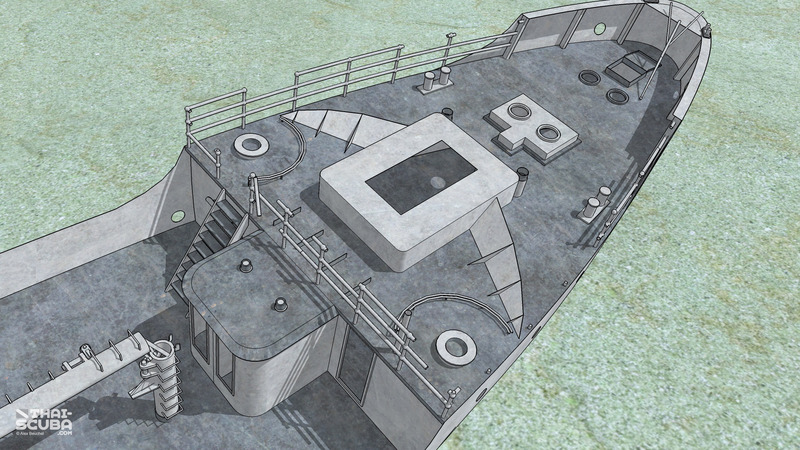 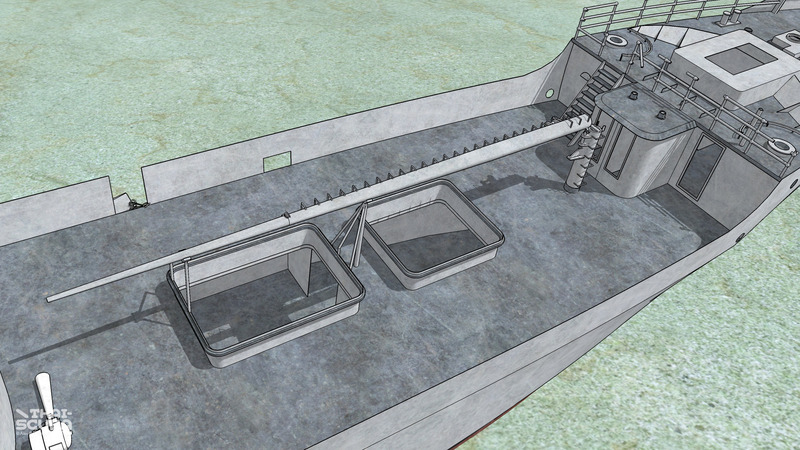 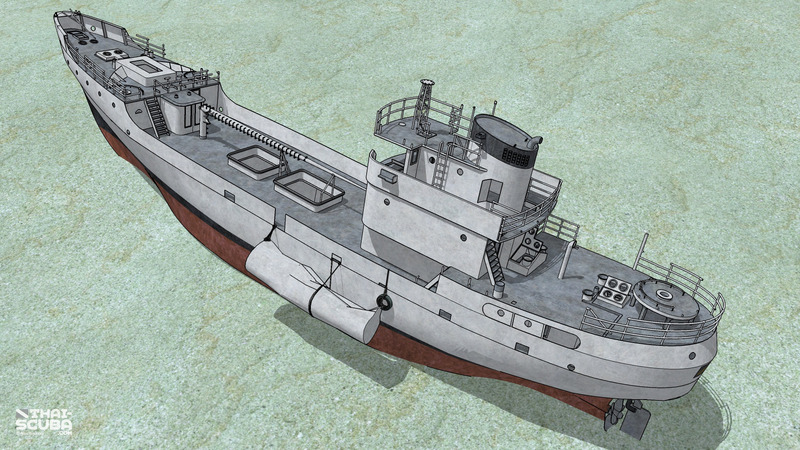 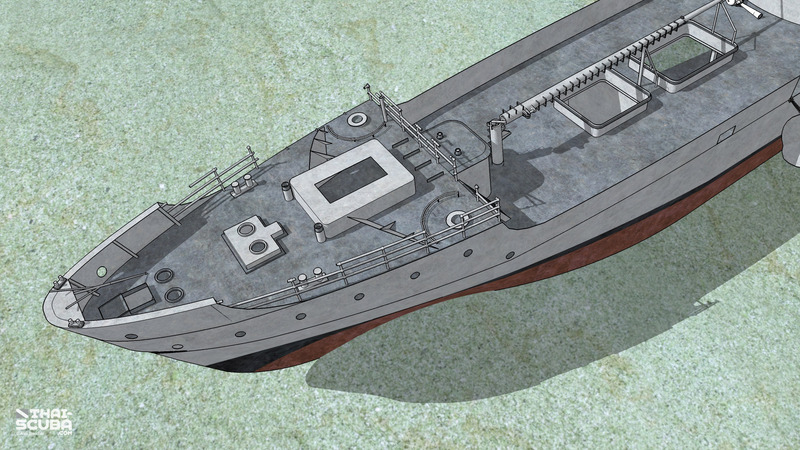 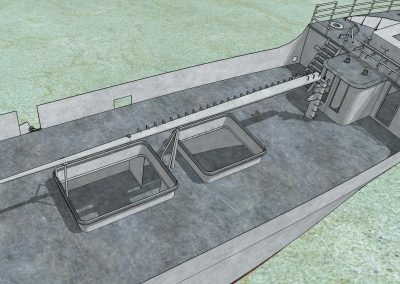 Top view of the forecastle. 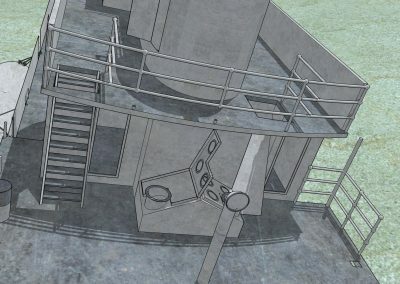 View as seen from the bridge. 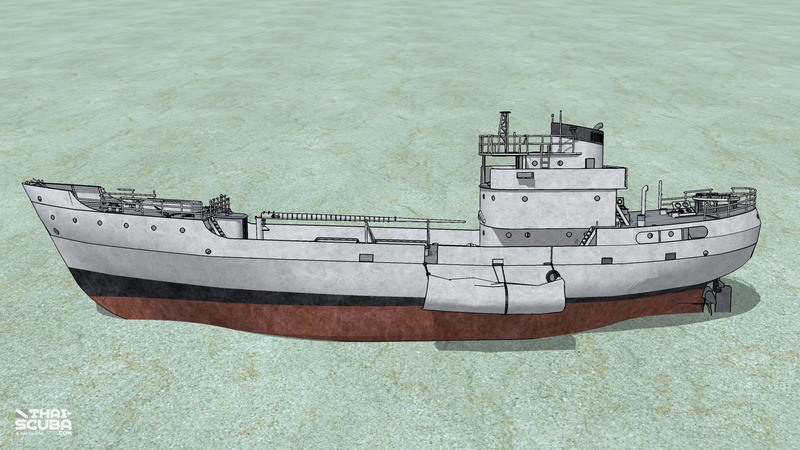 The wreck in profile from the port side. 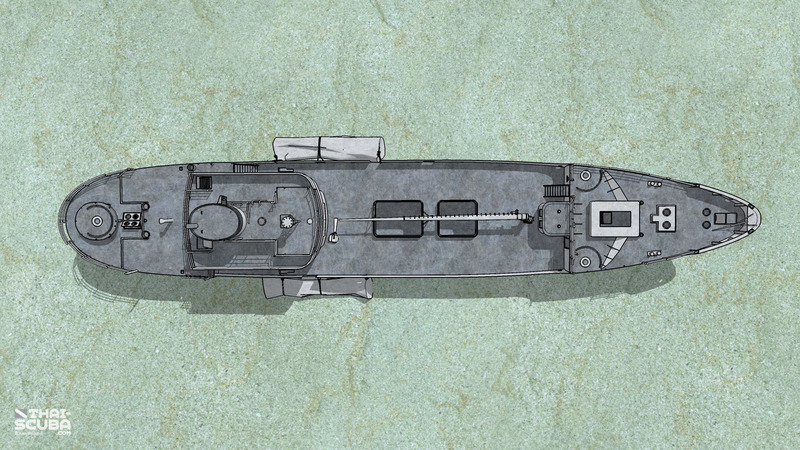 Top view of the Kledkaeo wreck.